A last chance to experience snowfall in the era of global warming. 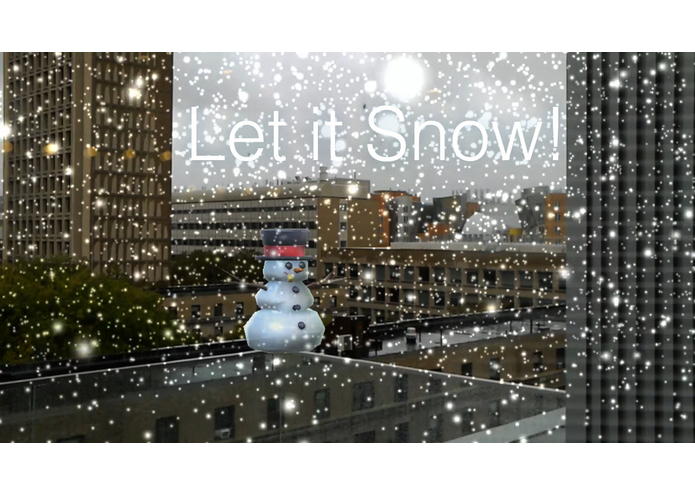 In this fanciful mixed reality experience, snow falls from above while a snowman serenades you. We created the winter wonderland effect from a Unity particle system which simulates snow, and worked with Hololens' spatial mapping function to locate surfaces and form a mesh which catches the accumulating snowfall. Let it Snow! transposes the magic of winter onto unlikely environments for a delightful, wintry experience everyone can enjoy.